A well-preserved tomb of the Western Zhou Dynasty has been confirmed as being that of a "diplomatic representative" of the Queen of Zhou, according to Xinhua. More than 20 burial sites were unearthed in a Western Zhou Dynasty (c. 11th century-771 BC) graveyard in Hejia village, Qishan county, Northwest China's Shaanxi province at the end of last year. One, identified as M11 by archaeologists, is well-preserved with a structure different from the rest. Many historical relics, including pottery, jade ware, shell money and bronze ware, were unearthed. 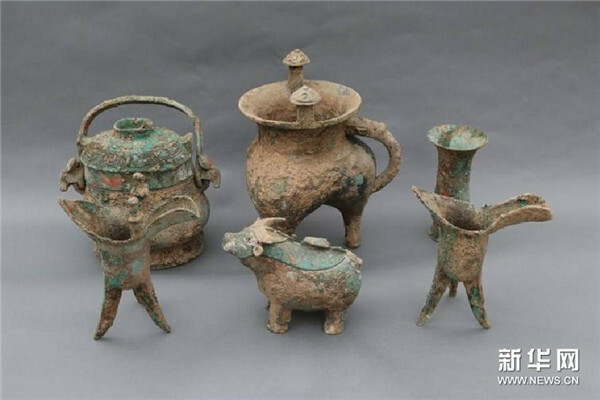 Sun Qingwei, deputy director of the School of Archaeology and Museology at Peking University, took part in the excavation and said the name of the tomb's owner, Xi Ji, was inferred from inscriptions on the unearthed bronze ware. According to the words inscribed, Xi must have been a noble and participated in some affairs involved with the royal families in the Western Zhou Dynasty, Sun said. Based on the nature of his work, he was some sort of "diplomatic representative" for the queen, equivalent to the highest ranked official at the time. Experts said the find is of great significance for the study of ethnic policy and culture of the Western Zhou Dynasty. A well-preserved tomb of the Western Zhou Dynasty has been confirmed as being that of a "diplomatic representative" of the Queen of Zhou.